(4.30 p.m. BST) -- Fred. Olsen Cruise Lines has raised its gratuities for passengers from £4 to £5 per person, per day -- an increase of 25 per cent. This rise is the first in several years, and it means an extra £35 per person (ages 12 and older) for a seven-night sailing. According to a statement from the line, the amount is to be split equally between cabin stewards and dining room waiters. The increase came into force on March 7th. 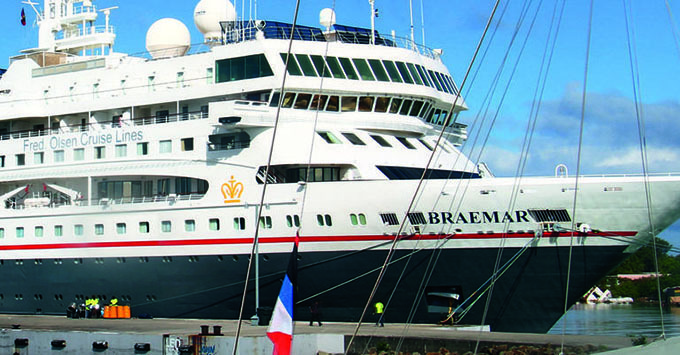 "The level of £4 per person, per night, had been in place for over 20 years, and the change was to bring it more in line with modern pricing," the line told Cruise Critic. Passengers wishing to change or cancel the charges can do so at guest services. Those wanting to tip in person can find envelopes there, as well. Members on the Cruise Critic message boards have been chatting about the issue. "While £1 [per person, per night] is not a lot of money, in percentage terms it's a big rise," says Eglesbrech. However, others claim they don't mind paying a little more. "I have been cruising with Fred since 2002, and this is the first time they have increased gratuities, so I have no qualms about paying the increase," says tiggertom. "For the service you get, it is well worth it."